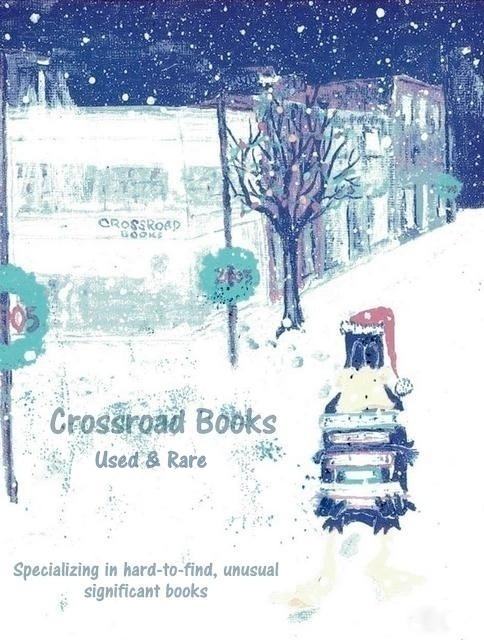 Crossroad Books has been selling books of merit since 1996 but we closed our Eau Claire, Wisconsin bricks and mortar store in 2017 to become strictly an online seller. What hasn't changed is our commitment to carrying difficult-to-find books and to providing the same honest, dedicated customer service that builds life-long relationships with our buyers. Whether you appreciate a well-crafted sentence or the beauty of rich, leather bindings, we hope you will turn to us for the books that give your collection depth and distinction and for the books that you will treasure for decades. Though our inventory does include a selective offering of contemporary books currently in demand, we take pride in doing much more than that. We specialize is literary gems that escape the notice of mass marketers and chain sellers. We believe these are the books that truly enrich our lives. What we are and offer for sale reflects our interests and biases as well as our efforts to provide the books our clients are searching for. Everything we do is based on a respect for knowledge, for books and for our customers. We are selective about condition and quality. We are conscientious and detailed in our descriptions and grading. We pack with care so books arrive safely. We do what we do because we care deeply about the written word and the power it has.